Rated 4 out of 5 by MsA59 from 4 STARS! I recently completed the game and found it interesting with a surprising ending. It has nice graphics & very helpful hints that direct you wherever you need to go. It was quite short but I enjoyed it. Rated 4 out of 5 by pinklub from If your a history buff you'll love this. So I first read some of the reviews before I played the game and thought oh well this is going to be another straight HO with just a little bit of adventure, but I actually liked it a lot!. I loved the history in this game and how they presented it, even though you had to go to the past it kept me intrigued the whole demo. I liked how the hints showed you exactly what need it to be done at the time, like when you clicked on it it will even make you back track if it was in another scene what you had to do. This is one of those games that if you like the story more than the game itself you should buy it. Rated 4 out of 5 by lea_anna from Played the demo I loved and respected JFK to the max, and recall what I was doing and where I was at, on that fateful day. Although many folks seemed to think it was...tacky, I didn't. Realistically speaking, when one returns from beyond to seek help for creating the 'better' future, a person would need a great knowledge of the challenges we are now facing, and compare them to the time of his murder. It's an entirely different ballgame when one is killed, then if they die from natural causes or a disease. Their soul/spirit cannot rest until things are accomplished. I could see the in the story line immediately. JFK left several things undone; things that were setting on his desk when he was murdered. He wasn't perfect, but as a President he stands with MLK. And for those who respect the truth about what actually is, can understand where this story is going. This game, to me and my insight, is telling the player...help me to change things, for the future. Unfortunately, and in reality, they've literally gone undone and have taken many turns to the dark side. Rated 4 out of 5 by pears45 from i like game the game is good to play about how did the jfk die and you can be the one to fine out how did it . Rated 4 out of 5 by flaxin from Very Interesting! I enjoyed this little game. I was very intrigued right from the get go, being a baby boomer myself. It kept my attention the whole way through, but with a bit of sadness. 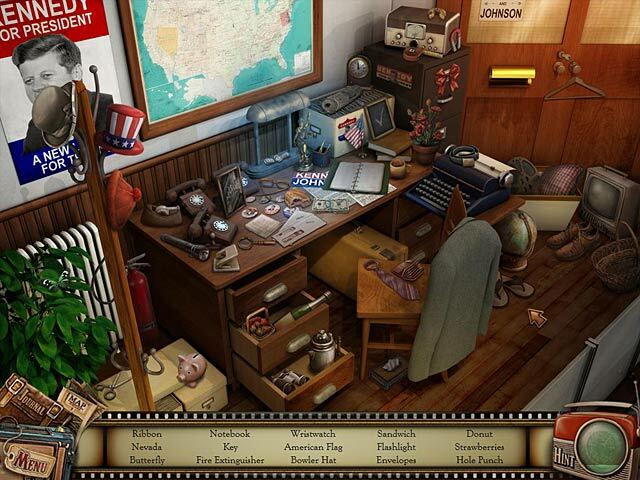 I enjoyed the puzzles, hidden objects were fairly easy, just whipped through those. Seeing the places and reading the placards I liked a lot, though like I said, with a tinge of sadness. All in all, it was a great 2 hours. Thanks BF! and developers! Rated 4 out of 5 by Sheerija from REVIEW OF COMPLETED GAME Good little game, if you do not mind it being only 3 hrs long. I did not as it is only a SE and I enjoyed it. The graphics are really good - precise and sharp. The HOS are quite plentiful, but also sharp and very clear and do not take long. The puzzles are mostly ones I have not seen before, and rather fun. Your mother witnessed the assassination of JFK and was plagued by visions all her life. When she died, the visions passed to you. You fade in and out of reality and keep getting taken back to 1963. There is someone with the same ability, but they are bent on doing something they shouldn't ought to and you have to stop them. I went to the Book Depository, the Grassy Knoll, Parklands Hospital, Jack Ruby's Club, the Oval Office, Condor Island and Lee Harvey Oswald's house, among other places, where I also encountered his wife and child. I met JFK and Oswald, There is live footage of that tragic day, which is sad and brought a lump to my throat. So long ago, yet when you view it again, you are again struck by the enormity and horror of that day. People in shock and disbelief, wandering around, trying to comfort each other, unable to comprehend what just happened. Although it is a different dev., it is very much along the lines of Gracelands, but on a much smaller scale, as that game was much bigger and grander. The voice overs and music were good and the text ran at a reasonable speed. There is a very good jump map, which I always appreciate. The hint/skip button were not as fast as I would have liked, but they were not too bad. Navigation is good enough not to rankle, if not instant. The hint button, outside the HOS, actually leads you straight to where you have to go, which I felt was a bit superfluous, given the jump map, but some people have a problem with jump maps, so might appreciate this feature. It was done well enough to keep me interested.. I enjoyed it and am glad I bought it. A little longer next time, devs., people are put off by short games. 4 hrs would be more acceptable and earn you more sales. Rated 4 out of 5 by Jeriann64 from well made HO game! This game was rather different then any I've played in awhile. The graphics are excellent but I didn't like the music.The voice-overs were good as were the HO scenes. The hint button told you where to go next but it was rather slow in recharging. All in all, a rather enjoyable game. Rated 3 out of 5 by sandrah212 from For history lovers I enjoyed the beginning of the game - the menu is set to look like a 60's style radio. Gameplay graphics are okay, but not outstanding. Gameplay itself was clunky and I found myself thinking of the things to do as chores instead of having fun solving the puzzles! I didn't think the storyline itself was very logical lots of the time, either. But the live footage and documents from the time period are very worthwhile and a nice touch! Being German, I will not rate the storyline - I didn't have a problem with it and thought it was really interesting, but apparently, it's still a sore point with alot of Americans! I can see kids having fun with this one, though, and at the same time they learn about history! Unfortunately, a no buy for me, though, but I've definitely seen worse, that's why this game gets a recommendation from me! Rated 3 out of 5 by catbag8717 from I'm On The Fence! This game is one of those average ones. It's one of those that are likely to have people on both sides (recommend, non recommend# and I don't know which side to pick! Good Parts: The HOS were great, hardly needed to use the hint button. Great graphics. The daydreams or flashbacks, whatever they called them, were great. A good, unique addition to this game, allowed me to travel between 1963 #to points before and after JFK was assasinated) and the present day. OK Parts: The storyline. It's a unique idea and has potential, but no voice-overs and a little boring. In my opinion, there weren't enough HOS. Bad Parts: Hint and skip took a little too long to recharge. A lot of going back and forth. Sometimes, I had no idea what to do next. The demo ends quite abruptly. Nothing after playing really made me want to continue. Well, I think I'll have to recommend the trial... See what you make of it. Rated 3 out of 5 by dancemom1 from No thanks! Yes, I too can remember that day quite well. For some reason, using this particular incident in history just seems a bit disrespectful (for lack of a better word)...I think because they use Kennedy as a ghost! Would have been better if they used an "unknown" for that particular part. Just my personal opinion. That aside, the graphics were okay (a bit old school), sound good, but no music to keep you interested. Hint used even if it just tells you what direction to go to. Game play a little choppy. This game did not keep my attention, nor did it make me want to run out and get it to see what happens. Personally, I don't think this is even worth the SE price, so not a buy for me. I gave this one a 2.5 actually..wish we had half stars. As always, try it for yourself and see if it is a game for you. We all have different tastes in games and you may find it quite enjoyable. Thanks for the reviews. Rated 3 out of 5 by Nilosh from I Am Perplexed About This Game I am rather conflicted about this game and I suppose it starts of with the subject matter. 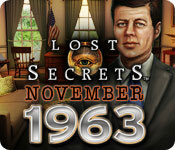 Althought the Kennedy assasiation has always been an intriguing mystery that still remains unsolved, I find it rather macabre that it should be part of a game. 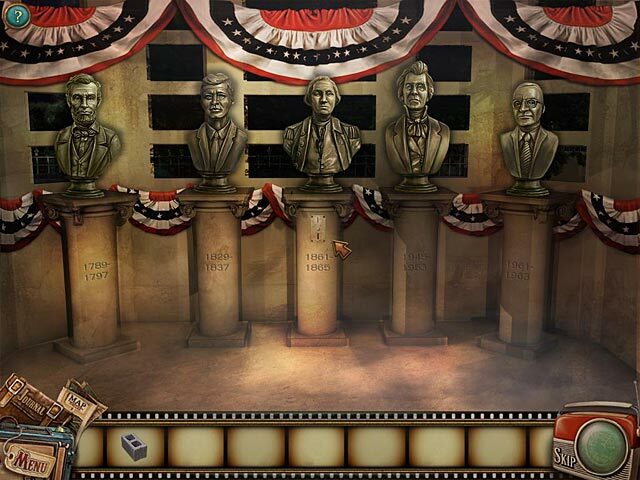 However we have played games that deal with deaths of famous people, however I do find seeing Kennedy being portrayed here as a ghost quite unsettling. But that is just me being over sensitive. The game itself is not bad, although the graphics looked outdated and the silence was bothersome. The game looked old and rather tired looking. There are no voice-overs (hence the silence) and you have two game modes to choose from. Game features a journal along with a map that allows you to jump and does indicate where there are tasks that need to be done. Actually the map was a great deal of help as I found that there are many areas to investigate. Game mechanics are your standard HOPA where you need to investigate and pick up inventory items to use. There are junk-piled HO scenes that have no interaction and a series of mini-games which we have seen before but suprisingly there was a level of difficulty in some of them which made the game slightly more challenging. There is an interesting storyline that still I haven't figured out even after an hour of game-play. Is our Heroine in a constant dream-state? or is she truly able to jump through time portals and who is that mysterious hooded man that is following her? and what clues does the pink teddy bear hold?. But the most important question I do have is what do they all have to do with Kennedy's murder? It seems I will have to continue playing if I want answers and thank God I do have some game credits on hand to spare. There is a strong nastolgic feeling about the game and it really looks like it has come to us via a time machine. Gameplay does become a bit tedious after a while, however ike I said, I find that I personally am intrigued at the story and will recommend it for those who enjoy history and mystery thrown into an average HOPA game. However, it seems that we will continue to remain in the dark regarding who shot Kennedy. Rated 2 out of 5 by ldzach02 from Not much fun This is a pretty boring game. The graphics are outdated & the story line is all over the place. Rated 2 out of 5 by walkswithdogs from Very Disappointing I disliked this game so much I couldn't play longer than about 20 minutes before getting disgusted with it and deleting it. Many found the graphics crisp but I would describe them as dated and amateurish. The lack of music and voice over only added to my disinterest in this game. What little animation present was slow and jerky. All in all, a disappointment to me. Rated 2 out of 5 by IdahoForever from Old-School HOS/Ghost game The memory is as fresh as if it happened yesterday, instead of the day before my 16th birthday, 49 years ago. I was a freshman in high school, happily day-dreaming about my birthday party, when the school superintendent announced President Kennedy's death over the loudspeaker. Most of us girls were crying, and the boys just sat there, stunned. The news that "Jack" Kennedy, as he was known then, had been assassinated was a huge blow. I wasn't sure if I wanted to play this game, but decided to try it out. What a let-down. This game has the look and feel of one that was made a few years ago. A lot of easy HOS. Easy puzzles. Some animation, no voice-overs. The graphics are beautiful. Music is soft and suspenseful. There is a map, but it doesn't let you teleport. There is a journal, as well. I almost never say "Don't recommend" but this game is awful. Rated 2 out of 5 by roesbud from Good idea, not a good game I'm interested all things JFK, so I cashed in a credit for this one. It is the shortest game I've ever played. Little challenge. Even if it were a daily special, I don't think it is worth it. Rated 2 out of 5 by donadriedger from It's in bad taste I'm not sure what the devs were thinking, but this is completely cheesy. Using the assassination of President Kenndy for a game?...wow, yeah, that was sure a fun time! Even if the concept was not ill conceived, the overall quality of everything else would still kill this game. The graphics are simplistic, the HOs are boring and non-interactive...and WHY does every object you pick up have to pulsate four times?? That is really annoying. The story line is fuzzy...is she in 1963 when the HO scenes are being played? If so, the anachronisms bug me...maybe she is in present time though..who knows? I think they need to go back to the drawing board...start over with something fictional! Rated 2 out of 5 by wdwrn312 from Boring! Played the full demo only because I went to the trouble of downloading it. Rated 2 out of 5 by rainice from History as an excuse for another super natural themed HOG I am of the generation who remembers exactly were they where when they heard of Kennedy's assassination. So when I saw this I was curious as to what it was all about. Turns out, it's about a woman who is having visions about that incident and a pink teddy bear that belongd to her mother. Games that center around supernatural or occult themes do not interest me in the least. Others may find this a good game, but as soon as I saw where it was leading I uninstalled. . Rated 2 out of 5 by rosekaufmann from PASSABLE ONLY Nothing new in this game. Familiar cutscene of Kennedy’s assassination day, but after that people look like they’re made of plastic. Graphics are passable and animation is rather shaky (ex: plane shaking from turbulence looks obviously made up – not in the least trying to be realistic). Could have put more effort into developing game. Compared with what’s out there today, game resembles those put out 2-3 years ago. STORY: You’re going to Dallas to follow-up on your mother’s visions. In flight, you suddenly have your mother’s teddy bear (not very cuddly) and you dream for an instant of a strange guy, whom you later see on the ground in Dallas and who claims the teddy bear is his. BASICS: Casual and expert modes of play. You have a journal and an interactive map. Good blend of HOS and puzzles. 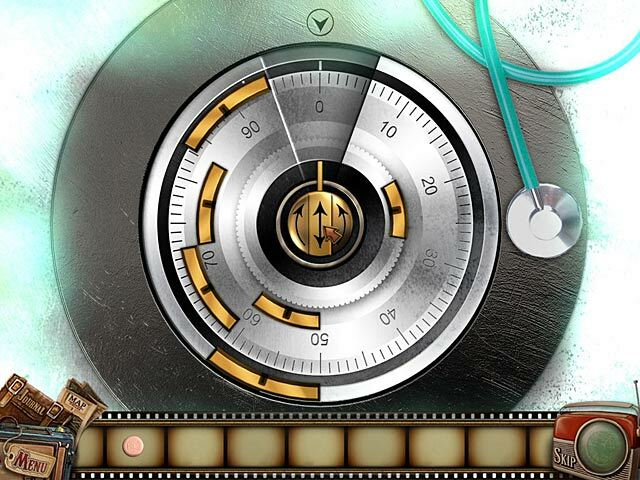 HOS scenes are not too crowded and objects are readily identifiable. Puzzles vary and are easy to moderately challenging. Hints are helpful, but the recharge time is rather lengthy. I don’t know that I would buy this game even if it was a DD. Or maybe I just think Kennedy’s assassination deserves more respect and thought. Rated 1 out of 5 by slhswims from Crushing theme ruins modiocre game This game dragged me back to a depressing time when most people (including me) were in shock for an extended period of time. Such poor taste to create this game and to put it on BFG. Better screening please! Rated 1 out of 5 by mistyandtiny from worst game i have ever purchased this would be without doubt the worst game i have ever bought from big fish. the hint/items for use defy logic, asked to rate storyline, what storyline apart from the kennedy assassination which obviously was used just to sell the game, any other link is purely accidental. and fun factor , totally non existant. Rated 1 out of 5 by mrssharon from Worst Game on Big Fish Ever The fact that the main theme is related to an actual assassination of an American president should make this "game" a non-starter. But, out of curiosity over what other reviewers have said, I went ahead and played the demo to its end. The game had no logic. If the person is having visions, why are real items appearing out of them? Running back and forth trying to find the items you need to progress was frustrating. The puzzles were awful. I think I skipped 3 of them because, again, there was no logic in them. Some dude kept popping up out of thin air, and I never did get a clue who he was or why he was part of this story. It made no sense. The graphics were amateurish and the items were really not hidden. There was no interaction in the HOS. Most of the items I collected would probably have been explained further into the game, but at the point where the demo ends, you have no clue what you would possibly do with them. The dialog by other characters had no energy and amounted to not much more than one-liners. The biggest puzzle of all is why the developers created this "game", and I use the word loosely. A game is supposed to be fun and when you think of what happened on that day in 1963, it makes me sad and a bit angry that anyone would think this "game" would be fun. Very tasteless is the kindest thing I can say about it. Rated 1 out of 5 by taigood from Flop!!! I can only advise you to try for yourselves. Because my personal opinion is that this game is totally obnoxious. A very very sad attempt of drawing peoples' attention by naming a historical figure that actually has nothing to do with the theme except for the place and date. Depressing colours. Cluttered Hos. Puzzles with poor and/or confusing instructions. All in all, I couldn't force myself to play it beyond 15 minutes and deleted it straight away.